The 2A Armament Regulated Bolt Carrier (RBC) for AR-15s in .223/5.56 is a lightweight carrier with a gas regulating gate built into the carrier itself. This allows the user to tune the AR-15's gas system and eliminates the need for an adjustable gas block. 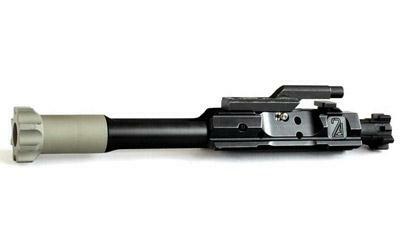 The RBC can be tuned to work with most combinations of different buffers, springs, suppressors, and barrel lengths. The RBC's port door is fully adjustable with a T-6 Torx tool and does not require the weapon to be broken down for adjustment. Made in the USA.